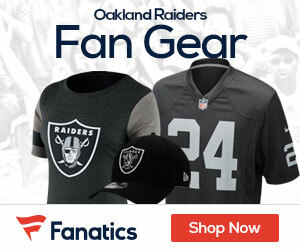 The Oakland Raiders may be without one of their wide receivers when they start their regular season on September 12 against the Tennessee Titans as Steve Corklan of the Oakland Tribune is reporting that WR Chaz Schilens underwent an arthroscopic procedure on his left knee Tuesday and stands a chance of missing the first game of the regular season. Head coach Tom Cable is of the hopes that Schilens won’t miss a bunch of time from the minimally-invasive procedure. Staying healthy recently has been a foreign concept to Schilens as he missed eight games last season recovering form surgery on his left foot; he would have a second surgery on the same foot in January.